Most of the messages I receive from readers who have done the Give THANKS practice from my books on the power of gratitude are overwhelmingly positive. I hear the most amazing stories from people about how the simple practice of gratitude totally transformed their lives, just like it did mine. But every now and again, I hear from a reader who says gratitude isn’t working for them, even though they’re practicing it consistently every day. I just read your book and am inspired to start my own gratitude jar. I feel really stuck right now and a lot of things in my life aren’t working. I started my gratitude jar with a friend a week ago, but then she bailed on me so now I’m doing it by myself. I feel really depressed about my life. I’m an artist and had a showing at a gallery, and no one showed up. I was hoping this gratitude practice would help boost my career, but it’s still going nowhere. Plus, my apartment keeps having stuff break all the time that I need to repair. It’s like a metaphor for my life because everything feels like it’s falling apart. Is it normal to have these setbacks while using the gratitude jar practice? Why aren't things smoothing out? In your book it seems like you immediately began feeling and doing better. And your life changed dramatically in less than two weeks. I have barely finished week 1 and I'm feeling awful. What am I doing wrong? I was hoping being grateful and doing the jar would help get out of the hole I'm in, but I’m still stuck. 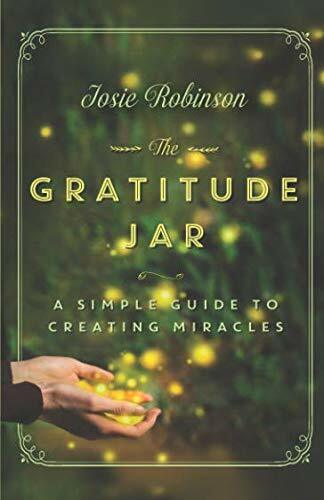 The Gratitude Jar book was written over the span of a year, and my radical personal transformation didn’t happen overnight. It may seem like it did because of what a quick read the book is, but it was a much longer process. Yes, I did feel better right away as a direct result of my gratitude practice, a bit lighter and more joyful, but the amazing “material” things like attracting my ideal career, moving into my dream house, and other miraculous events, didn’t happen for awhile longer. And honestly, those material things aren’t the real point of a gratitude practice. Thanks so much for reaching out and sharing your story with me. I'm sorry to hear about the challenges you're facing right now, I know how difficult life can be. But I'm glad to hear you're inspired to start a gratitude practice, it can really help weather the storms of life. And that's truly what gratitude is best at - helping to get through the challenges of life. Gratitude isn't a magic bullet that makes everything disappear overnight, what it's truly best for is relieving some of the stress you're feeling and to help you find peace in difficult situations. Sometimes, yes, practicing gratitude can make incredible things happen in your life, but that's not what the focus should be. The focus should be on finding the gratitude no matter what's happening in your life at the moment. Do the practice without expectations of how it "should" be, otherwise you'll just stress yourself out. Anyway, I am sending lots of positive energy your way and hope you continue the practice. It takes time, but if you stick with it I have faith you'll also find your a rainbow in the midst of the storms you're experiencing. Let’s talk about magical thinking for a second, because I think it’s an easy mind-trap to fall into when it comes to gratitude practices. Magical thinking is the belief that one's own thoughts, wishes, or desires can influence the external world. It is common in very young children. A four-year-old child, for example, might believe that after wishing for a pony, one will appear at his or her house. When you go into your gratitude practice with the expectation everything is going to change overnight or something specific is going to happen like getting a new job, new house, new partner - it’s magical thinking. Gratitude is not to “get” things, it’s to find peace in the present moment, no matter what may be happening around you. Feeling peace instead of stress around something that’s been causing you constant fear and worry, is the real miracle of this whole practice. I’ve got some results to report from my gratitude practice: I'm not rich (yet!) in the monetary sense and am still looking for a job that aligns well with my skills and interests. However, I'm not consumed by fear and anxiety and negativity over my situation. This is HUGE! I was formerly a fear and negativity QUEEN! My gratitude practice forces me to look in every nook and cranny for what was good and beautiful and comforting about my day and I seize upon it and cherish it in my heart and savor it. I firmly believe that has been my sanity in my job seeking stage and a turnaround in my life's outlook as well. Thank you again, it was so nice to meet you! She’s feeling serenity and emotional freedom over a difficult situation because she started giving thanks around it instead of worry. Even though the job hasn’t come yet, she’s been able to come to a place of peace in regards to it. And that my friends, is the real miracle. Sometimes life is really, really, hard. When we’re in these difficult seasons of life, we’ll do anything to make them go away. We grasp onto self-help tools like gratitude and think if we do them “just right” it will make our problems magically disappear. The truth is, we’re a whole lot stronger than we think we are. And sometimes, those hard seasons are there to show us that. Gratitude helps us weather the stormy seasons with compassion and grace, opens our eyes to see our strengths, our highest purpose, and the allies surrounding us we couldn’t see before. You can’t see a rainbow unless there’s rain, right? THAT is what gratitude is for. To find the rainbow, even in the midst of the storm. Just keep giving gratitude with an open mind and open heart, and trust that eventually you’ll see your rainbow. And when you do, that is when you’ll know your gratitude practice is working exactly the way it’s supposed to be.